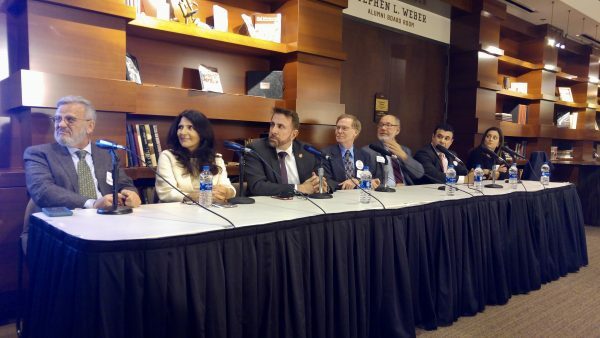 On Tuesday, March 20, San Diego State University held a panel entitled, “Future of Public Health.” Thank you to Dr. Hala Madanat, director, Graduate School of Public Health, San Diego State University for hosting the event. The evening started with a small reception. Dr. Laura Magaña, President & CEO, ASPPH, presented on the Future of Public Health at the national level. The panel was moderated, by SDSU Graduate Student Council President Mr. Benjamin Schumacher. The discussion centered around the current state of public health, the next big problems in public health, and how training programs incorporate these changes to stay relevant. March 22, 2018 "ASPPH Welcomes New IT Project Coordinator" March 22, 2018 "ASPPH Welcomes New Member"